Our hair has a natural life cycle including growing and resting phases. So it’s very natural and normal to lose between 50 and 100 hair strands per day. However, if you’re losing handfuls of hair, you may have telogen effluvium. Telogen effluvium is excessive hair loss that occurs a few months after a stressful or traumatic event. And it’s more common than you think. Telogen effluvium is actually the second most common form of hair loss after androgenic alopecia (pattern baldness). Keep reading to learn more about telogen effluvium symptoms, its causes, and its treatment options. Most cases of telogen effluvium are actually acute or short-erm telogen effluvium, a condition in which a stressful event pushes more hairs than usual into the telogen or “resting” phase of the hair growth cycle. Examples of stressful events that can cause telogen effluvium include physical stressors like childbirth, extreme sudden weight loss or a high fever, or emotional stress like a divorce or the death of a loved one. Around two months after the stressful event, up to 70% of hair may shed. Chronic telogen effluvium is less common than acute telogen effluvium, and is caused persistent stressors like chronic illness or an untreated vitamin deficiency. For regrowth to occur, the hair loss-inducing stressor must first be resolved. The main symptom of telogen effluvium is thinning hair on the scalp, although it can present itself in a variety of ways. Hair loss can be diffuse or concentrated in particular areas. However, telogen effluvium most often causes thinning at the top of the scalp. Thus, a widening part is one of the major telogen effluvium symptoms. People with telogen effluvium generally do not lose all their hair, but the hair loss can be noticeable in more severe cases. Telogen effluvium also usually does not present as a receding hairline. But it has been known to cause hair loss on other parts of the body like the eyelashes and eyebrows. If you suspect you have telogen effluvium symptoms, start by visiting your doctor. Your doctor can examine your scalp and perform tests to rule out other causes of hair loss, such as an iron deficiency or pattern baldness (androgenic alopecia). The good news is that unless there are other factors at play, acute telogen effluvium usually clears up on its own. 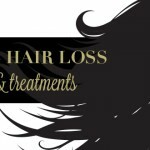 Once the stressful event is over, hair loss starts to decrease at about six months, and hair usually regains its normal thickness after about a year. 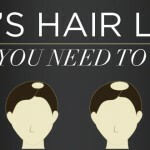 So what should you do while you wait for your hair to regrow? Toppik Hair Building Fibers can be very helpful during telogen effluvium recovery since they instantly disguise hair loss. 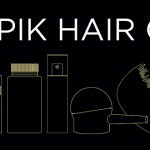 Toppik Fibers are made from naturally derived keratin proteins and are statically charged to cling to even the tiniest hair strands, so they blend undetectably for naturally thicker-looking hair. Using the closest shade to your hair color, apply Toppik Hair Building Fibers to thinning areas to cover and give yourself an instant confidence boost. 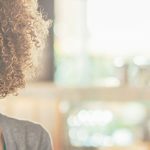 Since extreme stress can trigger telogen effluvium, it’s important to learn how to cope with stressors in your environment. Journaling, meditation, exercise, and getting plenty of sleep can help to reduce stress levels to recover from telogen effluvium or help prevent it in the first place. Have you had an experience with telogen effluvium? Let us know in the comments. Thank you so much for posting this article! I found Toppik products to be a lifesaver as of lately. I believe that I am suffering from this condition! Many of my loved ones believed that my hair is just thinning, however I have some bald patches and thinning (more so on the top of my head). I lost my grandmother in December 2017, and I think that is the stressor that my body is now reacting to. Thank you again for sharing the information in this article!